Professor Laura Murray (Department of English) and Professor John Smol (Canada Research Chair in Environmental Change, Department of Biology) joined us in studio alongside Mark Richardson, Education and Outreach Officer for the Arthur B. McDonald Canadian Astroparticle Physics Research Institute. 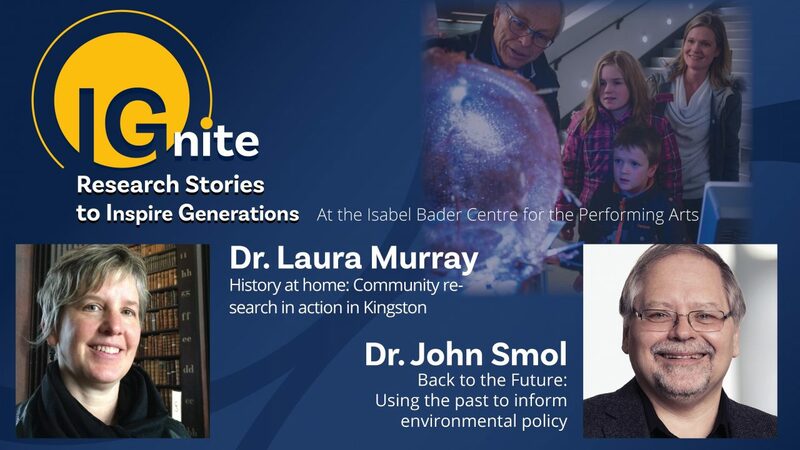 Each chatted about the recently launched Ignite: Research Stories to Inspire Generations event at which Profs. Murray and Smol will present on January 31st and each have inspiring ideas for accessible research to inspire future generations of researchers.